Not to be confused with East Anglia. This article is about the region. For the European constituency, see East of England (European Parliament constituency). Its population at the 2011 census was 5,847,000. Bedford, Luton, Basildon, Peterborough, Southend-on-Sea, Norwich, Ipswich, Colchester, Chelmsford and Cambridge are the region's most populous towns. The southern part of the region lies in the London commuter belt. The region has the lowest elevation range in the UK. North Cambridgeshire and the Essex Coast have most of the around 5% of the region which is below 10 metres above sea level. The Fens are partly in North Cambridgeshire which is notable for the lowest point in the country in the land of the village of Holme 2.75 metres (9.0 ft) below mean sea level which was once Whittlesey Mere. The highest point is at Clipper Down at 817 ft (249 m), in the far south-western corner of the region in the Ivinghoe Hills. Basildon and Harlow (Essex), with Stevenage and Hemel Hempstead (Hertfordshire), were main New Towns in the 1950s and 1960s, with much industry located there; three of these are on motorways, and fairly equidistant from London. In the late 1960s, the Roskill Commission considered Thurleigh in Bedfordshire, Nuthampstead in Hertfordshire and Foulness in Essex as a possible third airport for London. The East of England succeeded the standard statistical region East Anglia (excluding Essex, Hertfordshire or Bedfordshire then in the South East). The East of England civil defence region was identical to today's region. England between the Wash and just south of the town of Colchester has since post-Roman times (6th century) been and continues to be known as East Anglia, including the county traversing the west of this line, Cambridgeshire. 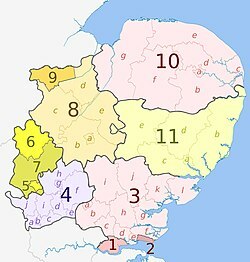 The inclusion of Essex as part of East Anglia is open to debate, notably because it was a Saxon kingdom, separate from the kingdom of the East Angles. 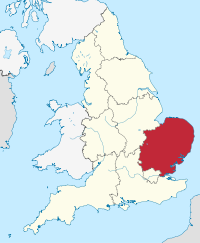 Essex, despite meaning East-Saxons, previously formed part of the South East England, as did Bedfordshire and Hertfordshire, a mixture of definite and debatable Home Counties. The earliest use of the term is from 1695. Charles Davenant, in An essay upon ways and means of supplying the war, wrote, "The Eleven Home Counties, which are thought in Land Taxes to pay more than their proportion..." then cited a list including these four. The term does not appear to have been used in taxation since the 18th century. East Anglia is one of the driest parts of the United Kingdom with average rainfall ranging from 450 mm to 750 mm. This is usually because low pressure systems and weather fronts from the Atlantic have lost a lot of their moisture over land (and therefore are usually a lot weaker) by the time they reach Eastern England. However the Fens in Cambridgeshire are prone to flooding should a strong system affect the area. Winter (mid November – mid March) is mostly cool but non-prevailing cold easterly winds can affect the area from the continent, these can bring heavy snowfall if the winds interact with a low pressure system over the Atlantic or France. Northerly winds can also be cold but are not usually as cold as easterly winds. Westerly winds bring milder and, typically, wetter weather. Southerly winds usually bring mild air (if from the Atlantic or North Africa) but chill if coming from further east than Spain. Spring (mid March – May) is a transitional season that can be chilly to start with but is usually warm by late-April/May. The weather at this time is often changeable (within each day) and occasionally showery. Summer (June – mid September) is usually warm and continental air from mainland Europe or the Azores High usually leads to at least a few weeks of hot, balmy weather with prolonged warm to hot weather. The number of summer storms from the Atlantic, such as the remnants of a tropical storm usually coincides with the location of the jet stream. The East tends to receive much less of their rain than the other regions. Autumn (mid September – mid November) is usually mild with some days being very unsettled and rainy and others warm. At least part of September and early October in the East have warm and settled weather but only in rare years is there an Indian summer where fine weather marks the entire traditional harvest season. The most deprived districts, according to the Indices of deprivation 2007 in the region are, in descending order, Great Yarmouth (58th in England), Norwich (62nd), Luton (87th), Peterborough (90th) and Ipswich (99th). At county level, after Luton and Peterborough, which have a similar level of deprivation, in descending order there is Southend-on-Sea then Thurrock. 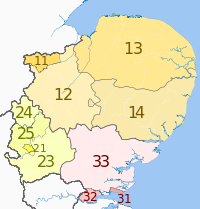 The least deprived districts, in descending order, are South Cambridgeshire, Uttlesford, Mid Bedfordshire, East Hertfordshire, St Albans, Brentwood, Rochford, Chelmsford, Huntingdonshire, Mid Suffolk, Broadland, North Hertfordshire, Dacorum, Three Rivers, South Norfolk, East Cambridgeshire and Suffolk Coastal. At county level, the least deprived areas in the region, in descending order, are Cambridgeshire, Hertfordshire and Bedfordshire, with all three having a similar level of deprivation, then Essex. The region has the lowest proportion of jobless households in the UK – 0.5%. In March 2011 the region's unemployment claimant count was 3.0%. Inside the region, the highest rate is Great Yarmouth with 6.2%, followed by Peterborough, Ipswich and Southend-on-Sea on 4.7%. In the 2015 general election, there was an overall swing of 0.25% from the Conservatives to Labour, and the Liberal Democrats lost 16% of its vote. All of Hertfordshire and Suffolk is now Conservative. The region's electorate voted 49% Conservative, 22% Labour, 16% UKIP, 8% Liberal Democrat and 4% Green. Like other regions, the division of seats favours the dominant party in the region, and the Conservatives have 52, Labour 4 (Cambridge, Luton South, Luton North and Norwich South), UKIP 1 (Clacton) and 1 Liberal Democrat (North Norfolk). An East of England Regional Strategy Board exists to co-ordinate the work of the local councils in the area and provides other functions. It is based in Flempton on the A1101 north-west of Bury St Edmunds. The Government shut the Government office for the East of England in 2011, the East of England Development Agency is being closed also. The East of England also elects MEPs for the East of England (European Parliament constituency). A mammoth skeleton found at West Runton, Norfolk, in 1990, is the most complete in the world. Fossilised footprints discovered on a nearby beach in 2010 at Happisburgh are 900,000 years old, and the oldest evidence of early humans outside of Africa, known as Homo antecessor, with the earliest flint hand axe in north-west Europe..
Simon Sudbury, and Archbishop of Canterbury from 1375–81, introduced the Poll Tax in Sudbury in the 1300s and the subsequent Peasants' Revolt in Essex in May 1381 was led by Wat Tyler. Elizabeth Garrett Anderson, from Suffolk, qualified as Britain's first female doctor in 1865, and was the granddaughter of Richard Garrett, whose company produced some of the first steam-powered road vehicles. On 3 October 1959 postcodes were introduced in the UK at Norwich only; Norwich was the first main town in the UK to be pedestrianised in 1967. The Access credit card was introduced in October 1972 from Southend. King's Lynn was the first in the UK to install a town-centre CCTV system, from 1987. Britain's first self-service petrol station was opened on 24 March 1966 on Marshalswick Lane in St Albans by Heron. The East of England was a major force and resource for Parliament, and in particular in the form of the Eastern Association. Oliver Cromwell came from Huntingdon. Norfolk, Suffolk and Essex played host to the American VIII Bomber Command and Ninth Air Force. The Imperial War Museum at Duxford has an exhibition, commemorating their participation and sacrifice, near to the M11 south of Cambridge. Stansted Airport was RAF Stansted Mountfitchet, home to the 344th Bombardment Group. The de Havilland Mosquito was mainly assembled at Hatfield and Leavesden, although much of the innovative wooden structure originated outside the region from the furniture industry of High Wycombe; the Mosquito entered service in 1942 with 105 Sqn at RAF Horsham St Faith. RAF Tempsford in Bedford is the airfield from where SOE secret agents for Europe took off, with 138 Sqn which parachuted agents and equipment and 161 Sqn which landed and retrieved agents. 19 Sqn at Duxford was the first to be equipped with the Spitfire on 4 August 1938. Rudimentary drone technology was developed by the USAF at RAF Fersfield, to destroy the Fortress of Mimoyecques at Moyecques; a prototype drone aircraft of Operation Aphrodite, with John F. Kennedy's older brother Joseph P. Kennedy, Jr. aboard, exploded on 12 August 1944 over the Blyth estuary in Suffolk. A magnetic mine found in 1939 at Shoeburyness, now in Southend, allowed the German magnetic mine threat to be subdued, with work done at HMS Vernon in Portsmouth. The 81st Tactical Fighter Wing were at RAF Bentwaters from January 1952, and also at RAF Woodbridge; in the late 1980s some of the aircraft went to RAF Alconbury. Alconbury closed in 1992, and Bentwaters closed in 1993, with the American air forces being in the area for 42 years; the USAF aircraft subsequently moved to Spangdahlem Air Base in Rhineland-Palatinate, Germany. At RAF Marham in west Norfolk, 214 Sqn with the Vickers Valiant developed the RAF's refuelling system; later the squadron would be equipped with the Handley Page Victor. Work on refuelling had also taken place at RAF Tarrant Rushton in Dorset. From the 1950s, RAF Wyton was an important reconnaissance base for the RAF, mainly 543 Sqn. The base is now home of the Defence Intelligence Fusion Centre, previously known as JARIC, or the Joint Air Reconnaissance Intelligence Centre from 1956. Watson and Crick discovered the structure of DNA at Cambridge on 28 February 1953. William Bateson, at Cambridge, invented the term genetics and co-discovered genetic linkage with Reginald Punnett. At the Bourn Hall Clinic in Bourn, west of Cambridge, in vitro fertilisation (IVF) was first achieved in 1978. Smith, Kline and French developed Tagamet in the 1970s at the Frythe, north of Welwyn; the site was sold by GSK in December 2010, and in World War II was home to Station IX, which made sabotage equipment for secret agents. Tagamet was for many years the world's best-selling prescription drug - for stomach ulcers. In 1912, in Cambridge, Frederick Gowland Hopkins discovered vitamins, gaining the Nobel Prize for Medicine in 1929. Under Sir David Jack, Allen & Hanburys at Ware (part of Glaxo Group Research since 1958, next to Chauncy School) developed Ventolin (for asthma) in the late 1960s and Zantac (for peptic ulcers) in the late 1970s; Zantac was the first pharmaceutical to sell more than $1bn per year; more recently[when?] Seretid (also for asthma) was developed there and the site is now part of GSK, which has a separate manufacturing site there. In 1975, at Cambridge, César Milstein and Georges J. F. Köhler separated monoclonal antibodies at the MRC Laboratory of Molecular Biology, and gained the 1984 Nobel Prize for Medicine; the MRC LMB has had many Nobel prizes for Medicine. Adalimumab, known as Humira, the world's best-selling drug, was partly developed in Cambridge by Cambridge Antibody Technology. Smith & Nephew Research was based at Gilston Park House, in Gilston, north of Harlow. At Papworth Hospital the UK's first heart transplant took place in January 1979, being operated by Sir Terence English and Sir Roy Calne, on 44-year-old Charles McHugh. The world's first heart, lung and liver transplant was performed there on 17 December 1986. The world's first long-term artificial heart was implanted (and connected) on 26 August 1994 - by Dr John Wallwork; the patient lived for 9 months; John Wallwork had performed Europe's first heart–lung transplant there in 1984; such transplants are often carried out on people with cystic fibrosis. Ben Milstein conducted Britain's first open-heart surgery there in September 1958 on a woman with an atrial septal defect, known as a hole in the heart. John Ray was an important naturalist from Essex, and the first to distinguish flowering plants between monocotyledons and dicotyledons in his 1682 book Methodus Plantarum Nova. 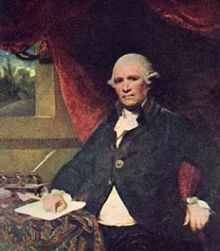 Charles Townshend, 2nd Viscount Townshend, of Raynham Hall in Norfolk, introduced crop rotation to Britain (which had originated in Holland) in the early 1700s using wheat, turnips, barley and clover. The Maris Piper disease-resistant potato was developed by the Plant Breeding Institute in Trumpington in 1966. At the Rothamsted Experimental Station, near Harpenden in Hertfordshire, 2,4-D was discovered, under Juda Hirsch Quastel; this is the most widely used herbicide in the world; later at the station, the pyrethroid insecticide was developed, under Michael Elliott, which is now the most common insecticide on the domestic market. William Gilbert (astronomer) from Colchester was an important early physicist; the Gilbert was a former unit of magnetization. Radar was developed in around Chelmsford in the late 1930s and at Bawdsey Manor on the Suffolk coast; on 24 July 1935 at Orfordness was the first detection on a CRT screen of tracking a plane on radar - a Westland Wallace. Earlier radio had been developed around Chelmsford by the Marconi Company; much of Britain's electronics industry was derived from Marconi, later to be GEC and now BAE Systems. In 1864 James Clerk Maxwell at Cambridge discovered his electromagnetic wave equation, part of his Maxwell's equations. CSR (previously Cambridge Silicon Radio) has made much technology for Bluetooth. William Hyde Wollaston, a chemist from Norfolk, discovered palladium in 1802 and rhodium in 1804, and in 1802 discovered the features of the Sun's electromagnetic spectrum, known as Fraunhofer lines, allowing the chemical composition of the Sun to be determined. In 1938 at Cambridge, Mary Cartwright developed chaos theory with John Edensor Littlewood; Edward Norton Lorenz, a meteorologist from the USA, would mainly develop chaos theory in 1963, and the butterfly effect in 1969. In the 1960s at Cambridge, the scanning electron microscope was developed by Sir Charles Oatley, and first made by the Cambridge Scientific Instrument Company in 1965. In 1966, Cambridge geophysicists Frederick Vine and Drummond Matthews proved the theory of plate tectonics and continental drift; plate tectonics was first suggested at Cambridge by Dan McKenzie; continental drift had first been proposed, though not extensively proved, by the German Alfred Wegener in 1912. In 1985, Norwich's Joe Farman discovered the hole in the Ozone layer, when part of Cambridge's British Antarctic Survey. John Cockcroft and Ernest Walton, using a particle-accelerator with a Cockcroft–Walton generator performed the first artificial nuclear disintegration on 14 April 1932, with a proton beam on lithium (producing helium) at the Cavendish Laboratory; using this work on 12 September 1933 the Hungarian Leó Szilárd would conceive the idea of the nuclear chain reaction whilst standing at a set of traffic lights on Southampton Row in Bloomsbury, returning from a lecture by Ernest Rutherford which discussed H. G. Wells 1914 book The World Set Free, that overtly prophecised nuclear weapons. The Cavendish Laboratory has 29 Nobel prize winners, more than anywhere else, and many Western countries. Ransomes, Sims & Jefferies of Ipswich built the first engine-powered commercial lawnmower in 1902. The firm would later own Mountfield. The Chorleywood bread process from 1961 changed bread production all over world. John Dickinson Stationery of Hertfordshire was the first company to produce gummed envelopes in 1850, and windowed envelopes in 1929 (in production quantities). The Thursford Collection in Norfolk is the country's biggest collection of steam engines. The Marconi Company's New Street Works on the B1008 in Chelmsford was the world's first radio factory in 1912; on 15 June 1920, Britain's first radio broadcast was made by Dame Nellie Melba. The first radio broadcast in UK was in December 1919 from Marconi in Chelmsford, broadcasting news for the first time in December 1920. The world's first scheduled broadcast from the 2MT (Two Emma Toc) Marconi transmitter at Writtle was from 14 February 1922, only on Tuesday evenings. The world's first real-time computer (Type 152) with memory store (Williams tubes) was built in 1947 by the Elliott Brothers Research Laboratories at Borehamwood; the site became Marconi Avionics in 1978 and GEC Avionics in 1984, and also had GEC Computers. Glues for the Mosquito wooden airframe were developed by Norman de Bruyne at his Duxford-based Aero Research Limited, which invented Araldite; the site is now owned by Hexcel. The Mosquito fuselage was made from two halves of balsawood (Ochroma) from Ecuador, and Canadian Birch, which had a Madapolam fabric over the surface; the wings were made from plywood and spruce. De Havilland built the Comet (the world's first jet airliner, first flying in July 1949 when piloted by John Cunningham, powered by DH jet engines, and designed by R.E. Bishop) at Hatfield, and built the Blue Streak rocket launcher at its Stevenage base; by the end of WWII the DH Goblin, designed by Frank Halford, was the world's most powerful jet engine. Ball bearings for the Merlin engine came from Hoffman of Chelmsford; its former site is now the Rivermead university campus. The first autoland system demonstrated on an airliner was with a BEA Trident at RAE Bedford in March 1964, with a system developed by Smiths Industries with similar work also done for the RAF at RAF Martlesham Heath; Plessey was a world leader in instrument landing systems (ILS). Rex Pierson from Norfolk, was the main designer for Vickers until the 1950s, designing the Vickers Vimy (which crossed the Atlantic in June 1919) to the Vickers Viscount, both pioneering aircraft. From 1945 to 1992, Rolls-Royce designed and built its helicopter (turboshaft) engines at its Small Engine Division at Leavesden, now a film set, these engines are now built by Rolls-Royce Turbomeca (from 1966). Britain's first satellite constructed in the UK - Ariel 3 (originally titled UK-3) - was built at BAC's Guided Weapon Division in Stevenage in the mid-1960s, later launched in May 1967. The Europa (rocket) was initially mostly British-led by Hawker Siddeley Dynamics at Stevenage and test-fired at Woomera Test Range in Australia, but later the subsequent Ariane (rocket family) would be mostly French-built and launched at Guiana Space Centre in French Guiana; Arianespace is 64% French and 20% German by ownership, and has no British share of ownership. The Rapier (missile) was developed by BAC (guided weapons division) at Stevenage (former English Electric). The first transition from hover to free flight of the Hawker Siddeley P.1127 took place on 8 September 1961 at RAE Bedford, with its first conventional flight also there on 13 March 1961; the Harrier was first delivered to RAF Wittering on 18 April 1969 to 1 Squadron; the next squadron to have the Harrier was 4 Sqn at RAF Wildenrath. In June 1954, the first Hunting Percival Jet Provost flew from Luton Airport; it was the world's first-designed jet trainer aircraft. On 30 April 1958, the Buccaneer first flew from RAE Bedford. The Hybrid Air Vehicles HAV-3, unveiled in 2014 at Cardington, is the longest aircraft in the world. The Comet G-ALYP was the first to enter commercial service for a jet, on 2 May 1952, on a flight from London Airport to Johannesburg; flying back from Rome to London, on a flight from Singapore on 10 January 1954, the aircraft was the second Comet to crash in-flight on BOAC Flight 781, and maybe the first to show structural failure; 114 Comets were made. The British Aerospace 125 (DH.125) was the world's first business jet, when it first flew in August 1962 at Hatfield, later mostly built at Chester (Broughton); later it evolved into the Hawker 800, made in Wichita, Kansas, and the design is the world's best selling business jet, with over 1,000 built. The Airbus A300, which entered service in 1974, started life as the Hawker Siddeley/Breguet/Nord HBN 100, with much of the initial design produced by Hawker Siddeley from its HS.134 design; the wings were developed from the Trident supercritical design (designed in the late 1950s). Of the companies involved with Airbus at the beginning, only Hawker Siddeley (former De Havilland) at Hatfield had designed anything as large with jet engines; the company may have consequently been headquartered at Hatfield and not Toulouse. Today's Airbus wings are made at Broughton in Flintshire, and all the undercarriage is made in Cheltenham (Messier-Bugatti-Dowty). In 1951 on an EDSAC computer at Cambridge, Sandy Douglas made the world's first computer game with a digital graphical display - a version of Noughts and Crosses; the LEO (computer), the world's first commercial computer developed by John Simmons at J. Lyons and Co., was a Cambridge EDSAC. Sinclair Research was based in Cambridge, as was its competitor in the 1980s, Acorn Computers. Sinclair invented the (£80 current value) Sinclair Executive in 1972, the world's first slimline pocket calculator; then it invented the world's first digital quartz watch, the Black Watch (which had technical problems) in 1975. Standard Telecommunication Laboratories in Harlow, then owned by ITT, is where fibre-optic communications as we know today, are recognised as beginning, when developed by George Hockham and Sir Charles K. Kao (they received the Nobel Prize for Physics in 2009); the first trial cable was laid between Hitchin and Stevenage in 1978. The first optical fibre that was part of a public switched telephone network was laid between Martlesham and Ipswich in 1978. Acorn successfully tested its first chip on 26 April 1985 (made in the USA by VLSI Technology), leading to the Acorn Archimedes in 1987, powered by its chip design. 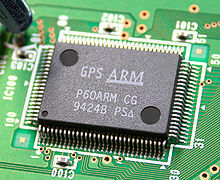 Acorn RISC Machines Ltd was formed in 1990, becoming ARM Holdings in 1998, and its chip designs went into all Nokia phones, and on Texas Instruments chips (the Sitara processor); currently there are now over 20 billion ARM chips in mobile phones. Vaughan Programming Services founded by Dina St Johnston in 1959 in Hertfordshire was Britain's first software house. Sizewell B is Britain's only pressurised water reactor (PWR), and is near Leiston in Suffolk with enough power for two million homes; Sizewell A had opened in 1966 and Bradwell had opened in 1962. Sir Christopher Cockerell (born in Cambridge) developed the hovercraft on Oulton Broad, Suffolk in 1956. Shell Haven, now in Thurrock, was where bitumen was first ever produced there in 1920; the refinery closed in 1999. Charles Wallace Chapman of Perkins Engines invented the high speed diesel engine, first building an experimental version (the Vixen) in December 1932 on Queen Street in Peterborough. The world's first diesel-engined car, a Hillman Wizard fitted with the engine in March 1933, was tested around Peterborough; the first production engine would be the Perkins Wolf, with the innovative Perkins Aeroflow combustion system; the Perkins Engines company developed mainly from this engine. In 1808, Henry Fourdrinier developed a process at St Neots to produce continuous rolls of paper, as made today - the Fourdrinier Machine, developed with Bryan Donkin. John Crosfield in Hemel Hempstead invented the colour scanner in 1958. Great Yarmouth's Malcolm Sayer designed the Jaguar E-Type and initial plans of the Jaguar XJS. Captain George William Manby of Norfolk invented the first portable fire extinguisher in 1813. The former electricity company for the area, Eastern Electricity, has the area's distribution now looked after by UK Power Networks at Fore Hamlet in Ipswich. UK Power Networks also looks after London and most of the South-East. Business Link in the East of England is next door to the headquarters of T-Mobile UK in Hatfield, at the roundabout of the A1057 and the A1001 on the Bishops Square Business Park. The region's Manufacturing Advisory Service is at Melbourn in Cambridgeshire, off the A10 and north of Royston. UK Trade & Investment for the region is in Histon with its international trade team based next to Magdalene College. NHS East of England, which was the strategic health authority for the area until the abolition of these areas in 2013, is on Capital Park, next to Fulbourn Tesco, Fulbourn Hospital, and the Cambridge-Ipswich railway, on the eastern edge of Cambridge. The East of England Ambulance Service is on Cambourne Business Park on Cambourne, off the A428 (the former A45) west of Cambridge. The East Anglian Air Ambulance operates from Cambridge Airport and Norwich Airport; Essex Air Ambulance operates from Boreham. The Greater Watford area is home to British Waterways, Vinci (which bought Taylor Woodrow in 2008), the UK of the international firm Total Oil, retailers TK Maxx, Bathstore, Majestic Wine, Mothercare, Costco, and Smiths Detection, Iveco, BrightHouse (at Abbots Langley), Leavesden Film Studios, Sanyo, Europcar, Olympus, Kenwood and Beko electronic goods manufacturers, Wetherspoons pub chains, the European HQ of the Hilton hotel group and Nestlé Waters; in Garston is the UK headquarters of the Seventh-day Adventist Church, on the A412, and the Building Research Establishment. Comet Group and Camelot Group (owners of the National Lottery), on the A4145, are in Rickmansworth. Ferrero (maker of Nutella and Kinder Chocolate) is in Croxley Green. Renault and Skanska (construction) are in Maple Cross. In Elstree and Borehamwood (close to the A1 motorway) are the Elstree Studios, where the Star Wars films were made and more recently Big Brother; and Hasselblad is based in Elstree. Borehamwood is also home to the BBC Elstree Centre and Pizza Hut. The Boy's Brigade, Dixons Retail (owners of Currys) and PC World), Sir Robert McAlpine and Bourne Leisure are based in Hemel Hempstead, where 3Com, Epson, Steria (formerly Bull and Honeywell), Alcon, and Kodak have their UK bases. Henkel UK makes (Loctite) industrial adhesives off the A4147, next to Dixons. Pure Digital (DAB radios) is in Kings Langley, with its parent company Imagination Technologies which is a world-leading designer of microprocessors. The town was formerly the home of Ovaltine until 2002. Noble Foods on the B488 in Tring is the UK's biggest producer of eggs. In Welwyn Garden City are Tesco, PayPoint, the former headquarters of First Quench Retailing until 2009 (formerly the Thresher Group), Hostelling International, the UK headquarters of Xerox, Cereal Partners, DBC Foodservice, and Hoffmann–La Roche. Shredded Wheat and Shreddies were manufactured in the town by Nestlé (Cereal Partners) until April 2008, which has its UK headquarters at the A1000/B195 junction. DuPont and a plant of GSK are in Stevenage. EADS Astrium, with Paradigm Secure Communications (a satellite operator) (which has made parts for the ExoMars mission, Gaia (spacecraft), ADM-Aeolus, and LISA Pathfinder) and MBDA (formerly de Havilland Propellers, then BAe Dynamics) are near the A1(M) bypass opposite each other on the A1072. Crompton Lighting are based in Cheshunt. Computacenter, Denso and EE are in Hatfield; Veolia Water Central and the HQ of Ocado are next to each other on the A1001. Polaroid (near the railway bridge over the A1081), Burton's Biscuit Company (on the B691) and Premier Foods are in St Albans; also Murphy Oil Corp's USA, UK subsidiary, Murco Petroleum; The Cloud (wifi hotspots, owned by BSkyB), is next to the railway station. Viglen is on the A5183 (the former A5) next to the M25 and railway at Ventura Park, the former site of Handley Page at Colney Street (St Stephen). Johnson Matthey (materials for catalytic converters) has its main operations in Royston. Royde & Tucker in Hitchin, Hertfordshire is the UK's leading manufacturer of door hinges, and William Ransom & Son makes pharmaceuticals and natural remedies. Cash Converters is in Thundridge near Ware. News International has the world's largest printing press at Broxbourne (Waltham Cross). Harlow has Pearson Education, the main research division of GlaxoSmithKline (on a former BP site), the European headquarters of Pitney Bowes, Synthomer (polymers), and the main manufacturing plant of Raytheon. Rexel (electrical supplies) is based at the A111/A1000 junction in Potters Bar. Moto Hospitality has its headquarters at Toddington in Bedfordshire (at the Toddington services). Luton is home to EasyJet, Monarch Airlines (both based at the airport), Hain Celestial Group (which makes Linda McCartney Foods, and is based on the B579 in Biscot), Eurolines (UK office), Thomson Holidays (based at Wigmore on the eastern edge of the town), and Chevrolet (at Griffin House, the Vauxhall head office). At the 85-acre Capability Green off the A1081 and junction 10a of the M1, is the Stonegate Pub Company (owner of Scream Pubs, Yates's, Slug and Lettuce and Hogshead), InBev UK (which bought most of Whitbread's beer brands), Chargemaster (electric vehicle network under the POLAR brand), AstraZeneca's UK Marketing Company division, and Alexon Group (ladies clothing). Vauxhall produced its last Vauxhall Vectra in March 2002 at the plant near the A6/A505 roundabout, and now makes vans (Vivaro/Renault Trafic) at the former Bedford Vehicles plant, based in the north of the town at the GM Manufacturing Luton plant. Near Luton railway station, Comau Estil is a manufacturing systems integrator for car manufacturers. Elster Metering makes gas and electricity meters, and is based in the north of Luton on the opposite side of the railway to Vauxhall. GKN Aerospace Transparency Systems (formerly Pilkington Aerospace before 2003), the world's leading manufacturer of military aircraft canopies, which also makes ice protection systems, is at Luton Airport. ArjoHuntleigh, based on the A505 in Luton near the M1, is a leading medical equipment manufacturer, and nearby, Certwood made the plastic seats for London's Olympic Stadium. Premier Inn (owned by Whitbread) is headquartered, with the UK headquarters of Electrolux (owner of AEG and Zanussi), in Leagrave, north Luton. 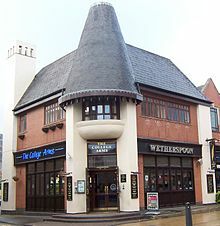 Its neighbour in Dunstable is home to Whitbread and Polestar, a main magazine printers. Bedford is home to Fujifilm and Wells & Young's Brewery (formerly Charles Wells). Danfoss Randall makes heating controls on the A6 next to Bedford St Johns railway station, and boxclever is south of the town on the A6. Autoglass is in nearby Cardington. Hunter Engineering (defence) is at Ampthill. Amazon has its main distribution centre for England (its first in the UK, established in May 1999) at the ProLogis Marston Gate site at Brogborough near junction 13 of the M1 (A421) next to Ridgmont railway station. Hanson Building Products was the largest producer of aggregates in the world, being taken over by HeidelbergCement in August 2007, and has always been based at Stewartby off the A421 south of Bedford next to the railway station. Kier Group and the Royal Society for the Protection of Birds are in Sandy. Connells and UltraVision are in Leighton Buzzard. Leisure Connection is in Wyboston, towards St Neots. Jordans (cereal), AMG Systems (electronics) and Liebherr Group are in Biggleswade. Trafficmaster Europe and Saab Great Britain are at Cranfield University. Unilever has its main food research site (where low fat spreads were invented) at Colworth Science Park near Sharnbrook. The economy in Norfolk, Cambridgeshire and Suffolk is traditionally mostly agricultural. Norfolk is the UK's biggest producer of potatoes. Nationally known companies include the RAC, Archant (publishing), Virgin Money and Aviva (formerly Norwich Union) in Norwich. In Carrow, to the east of the city, Colman's makes a wide range of mustards, and Britvic makes Robinsons squash, which was owned by Colman's until 1995. Across the River Yare near the A47/A146 junction in Trowse with Newton is May Gurney, the construction company. Bernard Matthews Farms has a large turkey farm on the former RAF Attlebridge in Weston Longville. Campbell Soup was made in Kings Lynn until 2008, and on the Hardwick Industrial Estate at the A47/A149 junction is PinguinLutosa UK, which packs frozen vegetables, and Caithness Crystal. Foster Refrigerator is the UK's leading manufacturer of commercial refrigerators and blast chillers, owned by Illinois Tool Works, based on the industrial estate; with Multitone Electronics, which has a manufacturing plant there, and which invented the pager in 1956, for St Thomas' Hospital; and Snap-on Diagnostics makes diagnostic tools for garages. Linda McCartney sausages are made by Hain Celestial Frozen Foods at Fakenham, where Kinnerton Confectionery produces around 6000 tonnes of chocolate each year, which is mostly private label (supermarket) products. British Sugar's Wissington is the world's largest sugar beet factory in Methwold, on the B1160 near the River Wissey. Lotus Cars and Team Lotus are on the eastern edge of the former RAF Hethel, east of Wymondham (A11) at Hethel (Bracon Ash). Jeyes Group makes household chemicals in Thetford, off the A134; Multiyork makes furniture and Baxter Healthcare has a manufacturing plant in the south of the town. Aunt Bessie vegetable products (roast potatoes) are made by Heinz at Westwick, in a factory built by Ross Group. Around Cambridge on numerous science parks, are high technology (electronics and biochemistry) companies, such as ARM Holdings on Peterhouse Technology Park in the south-east of the town, Adder Technology (KVM switches) at Bar Hill at the A14/B1050 junction north of the town, Monsanto, Play.com on the Cambridge Business Centre. The Wellcome Trust Genome Campus has the European Bioinformatics Institute at Hinxton east of Duxford near the M11 spur for the A11. These form the so-called Silicon Fen. Marshall Aerospace is at Cambridge Airport on the A1303 in the east of the town, towards Teversham. South of the airport, Carl Zeiss NTS makes scanning electron microscopes in Cherry Hinton. Syngenta is to the east of Cambridge, on Capital Park at Fulbourn. Premier Foods has a large plant in Histon and Impington making Robertson's and Hartley's jam, Gale's honey, Smash instant potato, and Rose's marmalade. Addenbrooke's Hospital is a pioneering hospital in the UK, based at Cambridge Bio-Medical Campus. On the Cambridge Science Park (in Milton), the first science park in Europe (when founded in 1970 by Trinity College), near the junction of the A14 and A10 (A1309) and on the western side of the A1309 in South Cambridgeshire, are WorldPay (payment service provider), Jagex (RuneScape), the European HQ of Accelrys, Cambridge Consultants, Astex (biotechnology), Kodak's European R&D centre, and Broadcom. On Cambridge Business Park, on the eastern side of the A1309 (formerly the A10) and inside the district of Cambridge, are Autonomy Corporation, an FTSE-100 company, Red Gate Software, CSR, and NEC Unified Solutions (unified communications). On the 200-acre Granta Park at Great Abington near the A1307/A11 junction south of Cambridge is MedImmune (formerly Cambridge Antibody Technology, now owned by AstraZeneca) which researches antibodies. The Welding Institute, Pfizer Regenerative Medicine, Gilead Sciences and Pharmaceutical Product Development are nearby. The science park has its own cricket pitch. Cambridgeshire has a few Royal Air Force bases. Subway (restaurants) is in Great Shelford. Unwins Seeds is in Alconbury Weston next to the A1. Avanquest UK, the home software company which bought EMME (which bought GSP in 2000) in 2007, is in St Ives, off the A1096. Nestlé Purina PetCare makes petfood at its South Brink factory in Wisbech, with another in Sudbury, Suffolk. Princes (formerly owned by Premier Foods before February 2011) can vegetables and baked beans, and makes Loyd Grossman cooking sauces in the town. Lamb Weston (potato products) is on the Weasanham Lane Ind Estate in the south of Wisbech, and next door Del Monte can fruit. On the Middle Level Main Drain at Marshland St James, south of Wisbech, Herbert Engineering is Britain's main producer of potato graders. The main water company for the area, AWG plc and International Audio Group are based in Huntingdon. JDR Cable Systems makes underwater cables at the A10/A1101 roundabout at Littleport. McCain Foods has a factory (which was the largest frozen food factory in the world when it opened in 1976, processing 200,000 tonnes of potatoes annually) on the A605 and railway, near London Brick, at Whittlesey, towards Peterborough. RAF Wittering was the home of the Harrier from August 1969 until December 2010, and now houses Army personnel, along with the RAF Regiment. British Sugar, Silver Spoon and the Billington Food Group are based near each other in Peterborough, as is Perkins Engines (diesel engines). News International has a main office there and Indesit (owner of Hotpoint, previously owned by General Electric Company before 2007) has its UK headquarters in Woodston. Next door is Applied Energy Products (part of Glen Dimplex), which owns Redring, Credair and Xpelair. The N&P Building Society (since November 2011 part of the Yorkshire Building Society) is in Orton Northgate. Bauer Radio and Bauer Consumer Media (formerly EMAP Consumer Media) are headquartered on Lincoln Road. EMAP has its magazine headquarters off the A605 in Orton Wistow; and BGL Group (Compare The Market) is in Orton Southgate next to the Peterborough services. Ronart Cars and Radical Sportscars develop sports cars at Westwood. Baker Perkins makes food processing equipment next to the Paston Parkway (A15) in Gunthorpe. The United States Air Force still has bases in Suffolk. Johnsons and Mr Fothergill's produce seeds in Kentford, off the A14. In Newmarket is the base of the British horse racing industry and the National Horseracing Museum. Claas, is based on the side of the A14 just west of Bury St Edmunds at The Saxhams, Zetor Tractors UK is in Downham Market, and New Holland Agriculture (and also the UK base of Fiat-owned CNH Global) is in Basildon where there is a large tractor factory. The RAF Regiment is based at RAF Honington, between the A1088 and A134, south of Thetford, partly in Fakenham Magna. The 100th Air Refueling Wing, which flies the KC-135 is at RAF Mildenhall. Silverline is a main maker of steel office furniture (filing cabinets and tambour desks) in Mildenhall, next to the airfield. Greene King and Branston Pickle are in Bury St Edmunds, and British Sugar makes all its icing sugar and caster sugar there. Helmsman is the UK's leading manufacturer of changing room cubicles and lockers, based on the A1101 at Fornham All Saints, north of Bury St Edmunds. Vinten makes camera supports next to the A14, and is part of the Vitec Group. BT Research has had its main labs at Adastral Park near Martlesham Heath, off the A12, since 1975. This site now claims to be the largest software development centre in Europe. Essfoods is based at Rendlesham Hall off the A1152, near the former RAF Bentwaters. BOCM Pauls is in Wherstead just south of Ipswich. Ransomes Jacobsen (part of Textron) makes sit-down lawn mowers on the Ransomes Europark near the A14/A1189 junction. The Port of Felixstowe is the UK's busiest container terminal and the 28th busiest in the world. Birds Eye, now no longer part of Unilever, now has its main factories in Lowestoft near Ness Point, and LEC Marine makes switchboards. SLP Engineering makes gas platforms for the North Sea. Adnams Brewery is on the Suffolk coast at Southwold. The electricity supplier Haven Power is based in Ipswich. Thompson and Morgan produces seeds, west of Ipswich just off the A14 at Sproughton. Becker Acroma (part of Sherwin-Williams) makes wood finishes off the A1017 in Haverhill, and on the same industrial estate International Flavors & Fragrances makes fragrances, and Marchant Manufacturing makes polythene (retail) bags. The Scout Association is headquartered in Gilwell Park in south Essex. Konica Minolta Business Solutions (UK), Muddy Fox (mountain bikes) and SELEX Galileo (formerly BAE Systems Avionics) are in Basildon, and MK Electric makes circuit protection systems, and is based at Cranes near the A127/A132 junction, with a factory at Southend. Britvic is on the A1016 in Chelmsford, which is the historic home of the Marconi Company now run by BAE Systems at Great Baddow. FedEx is at Stansted Airport. Clarke International, which makes electrical power equipment and tools, is on the B1393 (formerly the A11) in Epping. Clinton Cards is in Loughton, where De La Rue has a banknote printing factory next to junction 5 of the M11, printing notes for the Bank of England and other countries. Countrywide is in Witham, Essex. The army has a large base in Colchester, which is the home of the Parachute Regiment and 16 Air Assault Brigade. In the east of Colchester, off the A134 is MAN Energy Solutions, formerly owned by Paxmans, which built diesel engines for InterCity 125 trains, and further south in the town at Hythe there is Chandos Records. As part of the transport planning system the Regional Assembly is under statutory requirement to produce a Regional Transport Strategy (RTS) to provide long term planning for transport in the region. This involves region wide transport schemes such as those carried out by the Highways Agency and Network Rail. Within the region the local transport authorities carry out transport planning through the use of a Local Transport Plan (LTP) which outlines their strategies, policies and implementation programme. The most recent LTP is that for the period 2006-11. In the East of England region the following transport authorities have published their LTP online: Bedfordshire, Cambridgeshire, Essex, Hertfordshire, Luton U.A., Norfolk, Peterborough U.A., Southend-on-Sea U.A., Suffolk, Thurrock U.A. Since 1 April 2009, when the county of Bedfordshire was split into two unitary councils, the Bedfordshire transport authority has ceased to exist, however it is the most recent LTP for the area. The East of England region is covered by the Highways Agency operational area 6 and part of area 8. Major roads servicing these areas include the M1 London to Milton Keynes, M11 London to Cambridge, M25 through Hertfordshire and Essex, A1 London to Peterborough, A5 St. Albans to Milton Keynes, A11 London to Norwich, A12 London to Great Yarmouth, A14 Felixstowe to Rugby via Cambridge, A47 Great Yarmouth to Nuneaton and the A120 Harwich to Stansted. There are a number of proposed road developments throughout the region. Britain's first main motorway, the M1, opened at Toddington on 2 November 1959. Milton Ernest in Bedfordshire, on the A6 north of Bedford, was the first UK place in December 2012 to have the Siemens SafeZone average speed cameras (similar to SPECS, with much-reduced infrastructure) using Sicore ANPR cameras. The region is serviced by Network Rail Route 5 West Anglia and Route 7 Great Eastern as well as parts of Route 6 North London Line and Thameside, Route 8 East Coast Main Line and Route 18 West Coast Main Line. Major rail lines run London to Norwich, London to Cambridge and King's Lynn, and London to Southend with a number of rural branch lines servicing the wider region. A major freight route also runs between the Port of Felixstowe and London. Colchester railway station has the longest railway platform in the UK - around 620 metres, with Gloucester railway station second at 600 m. The Sunshine Coast Line was the first to be electrified in the country with 25 kV AC overhead wires, with the first service from Colchester to Great Bentley in April 1959. Shippea Hill railway station, on the Breckland Line east of Ely at the crossing of the A1101, is the quietest railway station (by passengers) in the UK. Buckenham railway station on the Wherry Lines east of Norwich on the Norfolk Broads is the 9th quietest railway station in the UK. The East of England has one international ferry port, Harwich International Port, which together with the Port of Felixstowe, the UK's largest container port, and the Port of Ipswich forms the Haven ports group. The London Gateway container port on the Essex side of the Thames Estuary was developed on the old Shell Haven site and will have, when fully complete, 6 deep-water berths capable of docking the next generation of ultra large container ships. The Port of Tilbury is also located on the Thames Estuary, to the west of London Gateway. The East of England coast also holds a number of traditional fishing ports including the King's Lynn Docks, the Port of Lowestoft and Wells Harbour. Great Yarmouth Outer Harbour opened in 2010 and along with the Port of Lowestoft provides support for the North Sea energy industry, including the growing off-shore wind energy sector. The region has four public international airports, London Luton Airport, London Southend Airport (formerly RAF Rochford), London Stansted Airport (formerly RAF Stansted Mountfitchet) and Norwich International Airport (formerly RAF Horsham St Faith). It also includes a number of smaller local airfields that are licensed for the public transport of passengers or for flying instruction; these include Beccles Airport, Cambridge Airport, Clacton Airport, Duxford Aerodrome and Peterborough/Sibson Airport. Luton Airport is the headquarters of easyjet. With Luton and Stansted, the region has two of the best, if not the biggest, airline hubs in Europe. Stansted Airport, built in 1991, is the fourth busiest in the UK, with 17m passengers in 2012, and Luton is the fifth busiest with 9m. Stansted has not had any success in attracting long-haul flight routes. There are twenty seven FE colleges (FECs) in the region. The largest FE college is Suffolk New College. The YPLA regional office is based in Stoke, Ipswich, off the A137 next to Cliff Quay. The main university in the region (and also highly important in England generally) is the University of Cambridge. The university has been officially rated as the best in the world in 2010. It has the second best medicine course in the world, and in 2010 became the only university outside of the USA to raise over £1 billion in charitable donations. There are eight universities in the region. Cambridge hosts two universities: the University of Cambridge, which enjoys an international reputation, and Anglia Ruskin University, a vibrant, modern university with an impressive range of undergraduate Degrees, Masters and PhD courses (8 subject areas are rated as 'world-leading' or 'internationally excellent' by the government for their research). It is also the home of the Open University's East of England branch. Norwich also hosts two universities: the University of East Anglia and Norwich University of the Arts. There are also other towns and cities in the region which have universities including Bedford and Luton (University of Bedfordshire), Colchester (University of Essex) and Hatfield (University of Hertfordshire). Other higher education centres in the region include University Centre Peterborough, University of Suffolk and Writtle College. For England, the region has the highest proportion of post-graduate students—thanks mainly to those at Cambridge. Of those undergraduate students studying in the region, around 45% are native to the region—most go elsewhere, and the region is a net exporter of students. Around 40% of the region's students are from other regions. The University of Cambridge, due to the high calibre required for entrance, has a mix of students from all over the UK. Around 55% of students in the region come from either the East of England, the South East or London. Very few come from anywhere in the North of England, especially the North East (less than 1%—and most of those will be to Cambridge). Only around 3% come from the neighbouring East Midlands—a much higher proportion of East of England native students go to study in the East Midlands however. The University of Cambridge receives almost three times as much funding as any other university in the region, due to its huge research grant—the largest in England (and the UK). The next largest, by funding, is UEA in Norwich. The University of Essex and Cranfield University also have moderately large research grants, but no other universities in the region do. The largest university by student numbers is ARU, and the next biggest is Cambridge. The smallest is Essex. For total income to universities, Cambridge receives around £1 billion—around six times larger than any other university in the region. The University of Bedfordshire receives the least income. Cambridge has the lowest drop-out (discontinuation) rate in the region. Once graduated, over 50% of students stay in the region, with 25% going to London and 10% going to the South East. Very few go elsewhere—especially the North of England. The rules of football were largely drawn up by Trinity College, Cambridge in 1848, known as the Cambridge rules at Parker's Piece; Ebenezer Cobb Morley of Barnes Rugby Football Club in London, also drew up some important rules in 1863, known as the Laws of the Game. East of England's top representatives in the English football league system today are Ipswich Town, Norwich City, Watford, and Luton Town, who have competed in the top flight at various points. iSport International is based at Carleton Rode, south of Norwich in Norfolk. Super Nova Racing is in Griston, west of Norwich. Robert Huff of Cambridge was the 2012 World Touring Car Championship champion. Lee Valley White Water Centre is off the A121 in Hertfordshire near Waltham Cross railway station. Peterborough has Thorpe Meadows rowing lake. Orfordness transmitting station broadcast the BBC World Service across Europe on 648 kHz until 2011. The National Council for the Training of Journalists (NCTJ, important for all journalists) is based near Newport railway station south of Saffron Walden. Roto Smeets Ltd (Dutch) is near Sawbridgeworth railway station, actually in Sheering in Essex,and prints the Daily Express and Daily Star magazines. Wyndeham Group have main magazine-printing works next to Peterborough Power Station and at Heybridge, Maldon. Polestar Colchester, off the A123 north of Colchester, formerly printed Nuts, Zoo and Front. ^ "The East of England Plan, the Revision to the Regional Spatial Strategy for the East of England, has been published today (12 May 2008)". Go East. Archived from the original on 1 November 2008. Retrieved 13 November 2008. ^ "Perkins" (PDF). Archived from the original (PDF) on 22 January 2015. Retrieved 21 June 2016. ^ "Business Map East". Retrieved 30 May 2015. ^ "UK Trade & Investment - GOV.UK". Retrieved 30 May 2015. ^ "Amazon". Archived from the original on 16 June 2013. Retrieved 31 August 2017. ^ "Prologis Park Martson Gate :: Home". Retrieved 30 May 2015. ^ "Regional Transport Strategy: the National Picture". Government Office for the East of England. Archived from the original on 9 July 2006. Retrieved 28 April 2009. ^ "Bedfordshire 2006-11 Local Transport Plan". Bedfordshire County Council. Archived from the original on 16 August 2009. Retrieved 28 April 2009. ^ "Cambridgeshire 2006-11 Local Transport Plan". Cambridgeshire County Council. Archived from the original on 25 March 2009. Retrieved 28 April 2009. ^ "Essex 2006-11 Local Transport Plan". Essex County Council. Retrieved 28 April 2009. ^ "Hertfordshire 2006-11 Local Transport Plan". Hertfordshire County Council. Archived from the original on 30 March 2009. Retrieved 28 April 2009. ^ "Luton 2006-11 Local Transport Plan". Luton Borough Council. Archived from the original on 27 March 2009. Retrieved 28 April 2009. ^ "Norfolk 2006-11 Local Transport Plan". Norfolk County Council. Archived from the original on 7 August 2010. Retrieved 28 April 2009. ^ "Peterborough 2006-11 Local Transport Plan". Peterborough City Council. Archived from the original on 15 February 2009. Retrieved 28 April 2009. ^ "Southend-on-Sea 2006-11 Local Transport Plan". Southend-on-Sea Borough Council. Archived from the original on 20 July 2007. Retrieved 28 April 2009. ^ "Suffolk 2006-11 Local Transport Plan". Suffolk County Council. Archived from the original on 10 October 2008. Retrieved 28 April 2009. ^ "Thurrock 2006-11 Local Transport Plan". Thurrock Council. Archived from the original on 5 October 2007. Retrieved 28 April 2009. ^ "Bedfordshire Goes Unitary". Bedfordshire County Council. Archived from the original on 30 October 2005. Retrieved 28 April 2009. ^ "New Business for London Gateway's Giant Cranes". Pacific Maritime Magazine. 1 March 2014. Retrieved 25 January 2015. ^ "The Port". London Gateway. Retrieved 25 January 2015. ^ Jeevan Vasagar. "The world's top 100 universities, 2010". the Guardian. Retrieved 30 May 2015. This page was last edited on 6 April 2019, at 22:03 (UTC).